The Detroit Pistons opened their season against the Denver Nuggets last week. The result was a 10-point Detroit loss and several sides of delicious beef. In a postgame interview, a victorious Kenneth Faried (22 points, 17 rebounds, 8-of-12, .709 true shooting), mentioned that the keys to the game were rebounding, neutralizing Detroit’s shot-blocking, and Josh Smith (25 points, 5 rebounds, 2 blocks, 9-of-22, .460 true shooting) doing Josh Smith things. “Josh Smith, we let him keep shooting, and he ended up with 25 but he still kept shooting, and he shot them out of the game,” said Faried, echoing the thoughts of many who have watched Smith remorselessly hurl perimeter shots in the general direction of the hoop over the course of his career. From Minnesota the following day, Smith felt his nerves struck, and he responded. As much as I’m a fan of argument constructions that begin with a person saying they won’t respond to such-and-such a person followed by a detailed response to that same person, then closing with a classic “I don’t mind” when clearly there is some minding going on, Smith goes too far here. In one stroke, he besmirched the good names of many an NBA player by the mere fact of their hairstyle, which Smith deemed beneath contempt. Let us now honor those NBA players and give them voice. 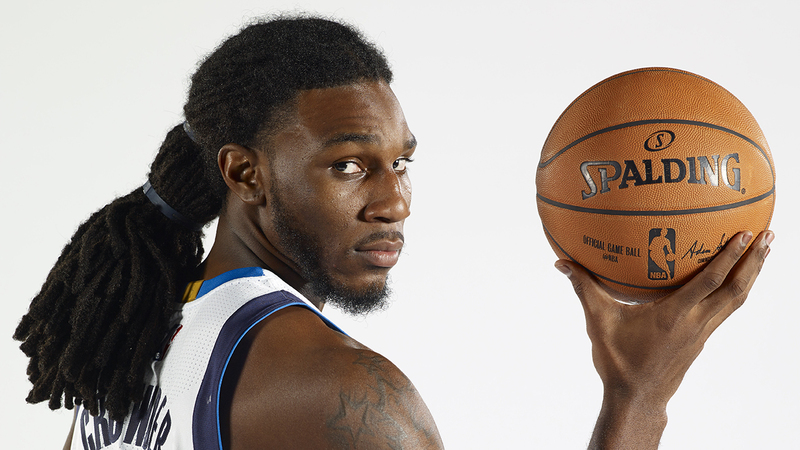 A third-year wing out of Marquette, Crowder had an encouraging rookie year but an inconsistent second season that saw him endure two stints in the D-League. He always makes me think of Boyd Crowder from Justified for some reason. Josh Smith will not respond to him. After falling to the fringes of pro basketball, Douglas-Roberts molded himself into a decent 3-point shooter, knocking down 38 percent of his 3s after signing with Charlotte in December of last year. Roberts said he was going to wear shorts “like Stockton” this season in Los Angeles, but he’s really doing more of a Kenny “Sky” Walker, what with the bicycle shorts underneath the basketball shorts. 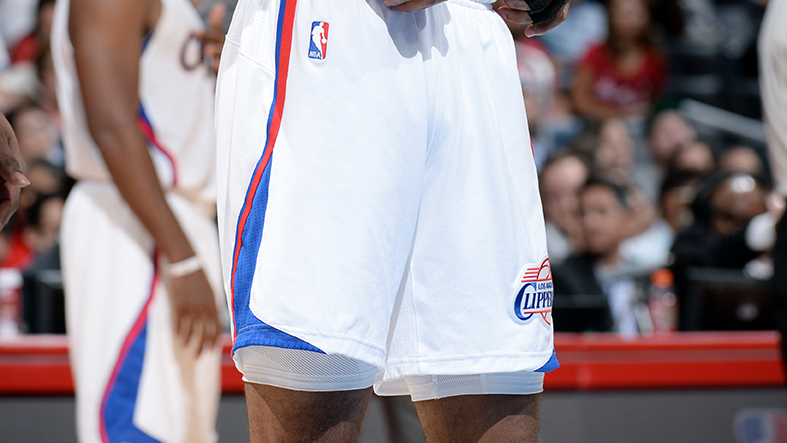 There is no way that Josh Smith would ever respond to him, but that’s, like, 60 percent due to the shorts. 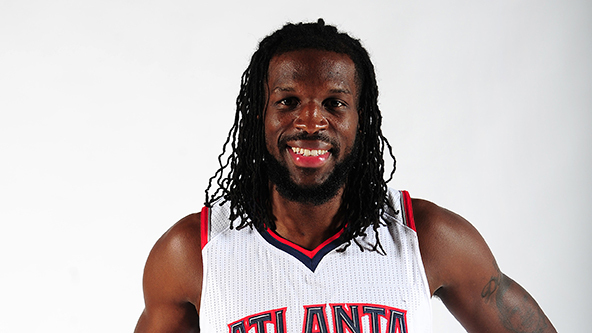 DeMarre had a career year last season in Atlanta: 11 points, five rebounds, 47 percent FG, 36 percent from 3. Carroll was one of roughly 800 players who set a career high against the Knicks last season, when he scored 24 points on 4-of-8 from 3. I kinda thought that maybe Smith would respond to Carroll, because they both played for the Hawks, but actually DeMarre came to Atlanta the year that Smith went to Detroit. So, no, Smith will not respond to DeMarre Carroll. Copeland is currently the Pacers’ leading scorer, which is probably not a great sign for the Pacers. He’s a career 41 percent 3-point shooter, so Josh Smith would not respond to him, just out of sheer jealousy of his marksmanship. A skilled passer and solid offensive big man, the oft-injured Nene is 8-7 against Smith in his career. 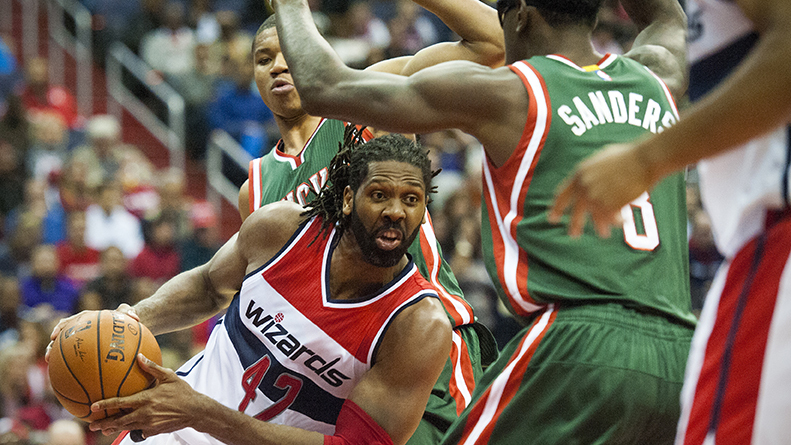 In 15 head-to-head matchups, Smith has outscored, out-rebounded, and out-blocked Nene. Josh Smith will not respond to Nene because Josh Smith does not speak Portuguese. Hill is legit the Lakers’ second-best player this year, and definitely their best defender. Related: The Lakers are 0-and-5 for the first time since they migrated to California from the Midwest. 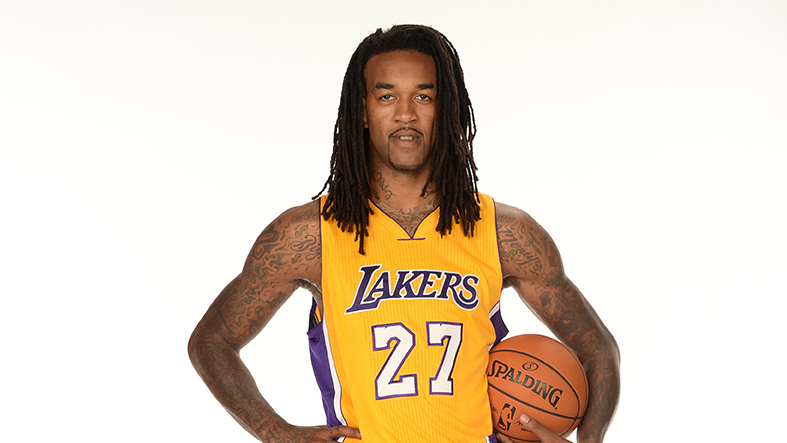 Also, how high does Jordan Hill look in this photo? Josh Smith will not respond to Jordan Hill or any Laker not named Kobe. 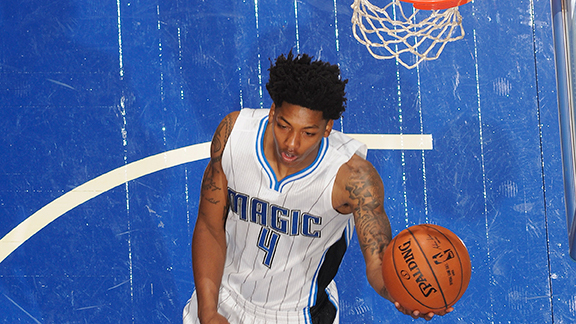 Elfrid Payton is an exciting rook who’s probably wondering what he ever did to Josh Smith. Josh Smith does not respond to rookies. 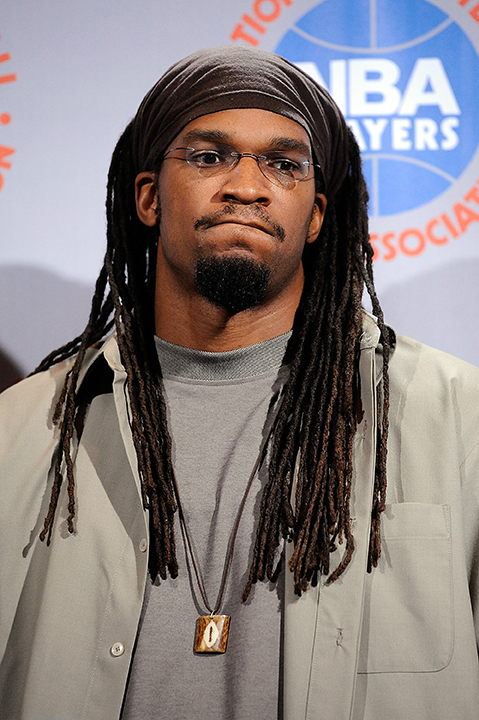 Does Smith remember that Bosh had dreads? Does he even want to? In 34 regular-season meetings, Bosh is 22-12 against Smith and has averaged 18.7 points and 9.2 rebounds to Smith’s 14.7 and 6.9. In a weird statistical anachronism, Smith has the better 3-point percentage in those meetings, 37 percent to 16 percent. Josh Smith will respond to Bosh now that he’s cut his hair. 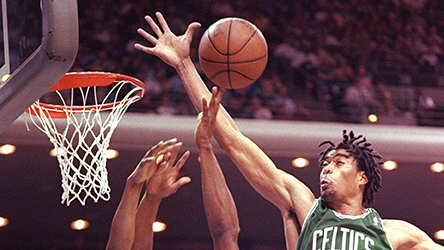 I’m reasonably certain that Pervis Ellison was the very first player in the NBA to have dreadlocks. The no. 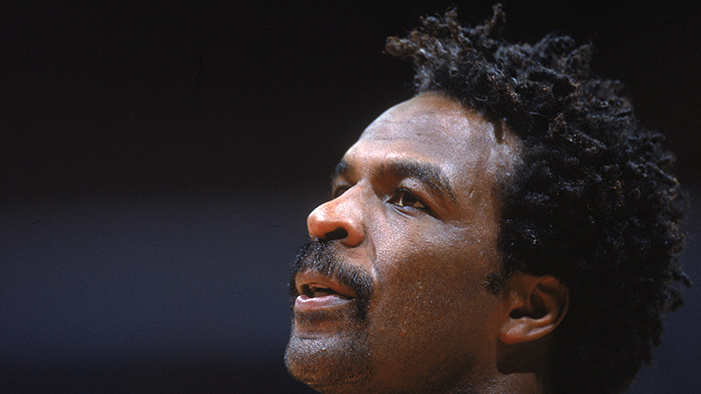 1 pick in the 1989 draft, Ellison’s career was — what’s stronger than marred? — mutilated by injuries. He played just 474 out of a possible 902 games over an 11-year career. Smith probably wouldn’t respond to Pervis just because he may not know who Ellison is. Part of a select brotherhood of ’80s and ’90s stretch 4s, Sam rocked a lunch-lady do-rag thing once his dreads got on the longer side. Also, “Big Smooth” is one of the all-time NBA nicknames, and I’m almost certain he played stoned a few times. Josh Smith is not cool enough to respond to Big Smooth. One of the most notable enforcers in league history, Oakley slapped Barkley, Pippen, Tyrone Hill, and Jeff McInnis. Some veteran NBA beat writers whisper of Oak, after a game, slapping an unnamed player in front of his girlfriend and infant child. Dave Hopkinson, the chief commercial officer of Maple Leaf Sports and Entertainment, told the National Post’s Eric Koreen that Oakley was his favorite Raptor, proving that even Canadians can have a mean streak. Josh Smith would not dare respond to Charles Oakley. 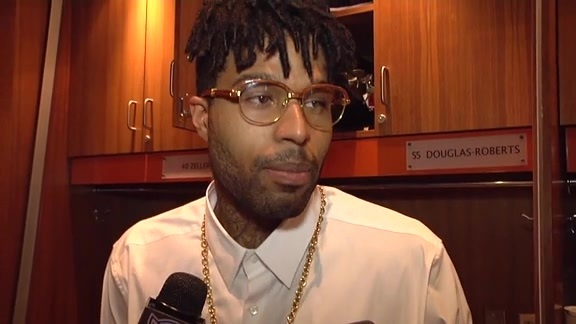 Josh Smith is disdainful of Grant because he has dreads and a tattoo of Bob Marley, so it’s like he has dreads twice. Josh Smith might respond to Brian Grant’s Bob Marley tattoo. 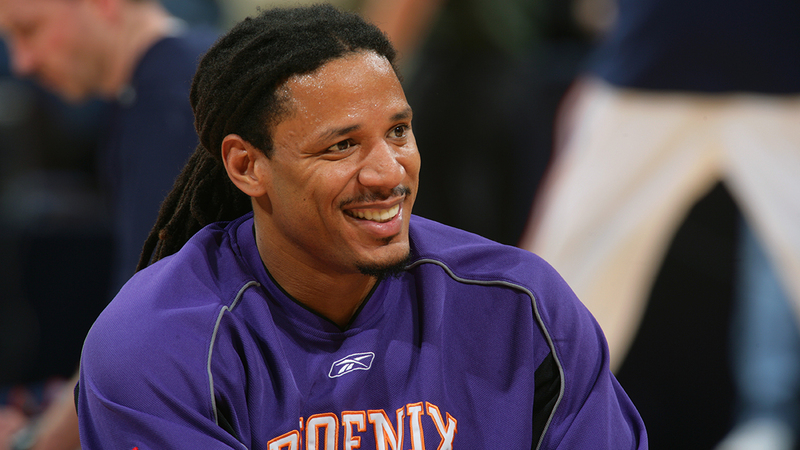 Along with Mike Bibby, Troy Hudson made his reputation on having big games against the Lakers in playoff series that his team lost. 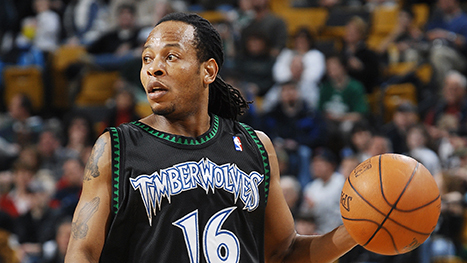 He averaged 23 points, five assists, and 43 percent from deep during a six-game series loss to Los Angeles in 2003. He is a terrible rapper. He should write a dis track about Josh Smith not responding to him. R.I.P., Seattle Sonics. A rugged, physical rebounder and post defender, Danny Fortson was a 6-foot-7 power forward and occasional center who made up for his lack of positional height by also being 6 feet 7 inches wide. 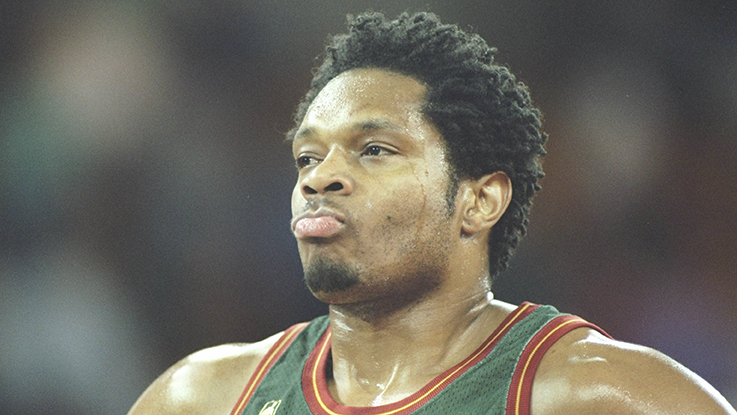 He also hacked dudes liberally about the arms, face, chest, and neck, averaging 6.3 fouls per 36 minutes for his career and twice going over nine fouls per 36 in a season (9.1 in 2004-05; 9.9 in 2005-06). I would describe his physique as resembling a SpongeBob made of meat. Here is a video of Fortson playing basketball set to Ini Kamoze’s “Here Comes the Hotstepper,” made by someone who is way too fond of Danny Fortson. 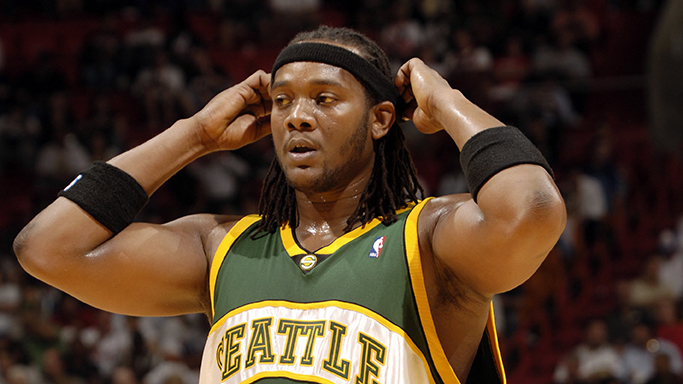 Josh Smith should show Danny Fortson some goddamn respect. Gelabale, one of three current or former NBA players from the French island of Guadeloupe (Mickael Pietrus, Rodrigue Beaubois), was most recently seen Stateside with the Timberwolves during the 2012-13 season after a four-year stint in Europe. 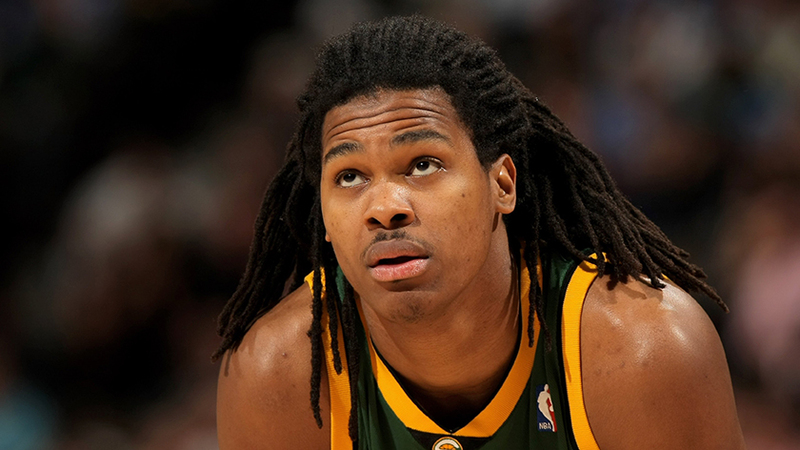 Before that, he spent two seasons with the late SuperSonics. 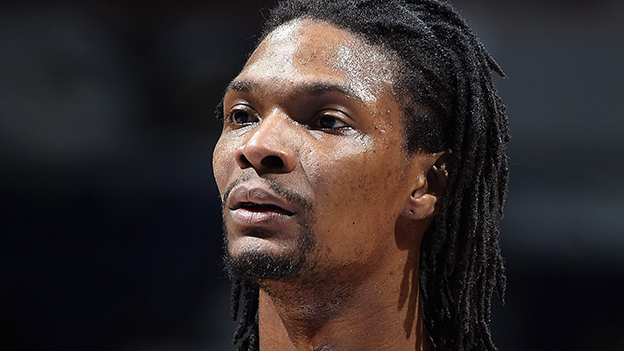 When he returned to the NBA, it was minus his trademark dreadlocks, which had apparently grown so heavy as to cause musculoskeletal issues in Gelabale’s upper spine. In the last two seasons, Gelabale suffered constant muscle injuries because of his famous look. The weight of the dreadlocks can cause bad posture, which can generate injuries. They can even alter the way a person runs. Experts believe this hairstyle can be harmful. Not in the short run, but over a long period of time. 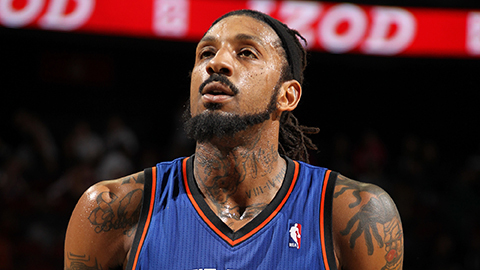 A notorious Knicks draft pick from the Isiah Thomas days, Renaldo Balkman is a lifetime garbage-time All-Star. His last notable contribution to basketball was in the Philippine Basketball Association, when he strangled Petron Blaze Boosters teammate Arwind Santos as Santos tried to stop him from arguing with the referees. Once a Knick, always a Knick, Balkman was a Knick twice, so you do the math on that one. Josh Smith doesn’t have to respond to Renaldo Balkman, because Balkman is plying his meager basketball skills in Puerto Rico. 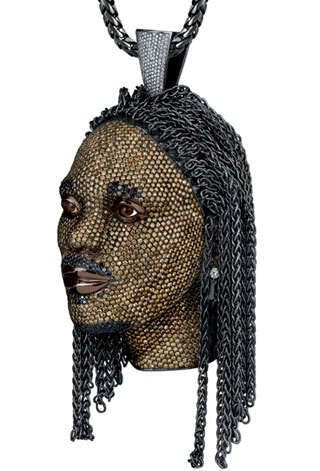 Back in 2010, Marquis Daniels had custom jeweler Jason of Beverly Hills re-create his head in 2.9 pounds of diamond-encrusted precious metal, complete with porcelain eyes and dreads. Is this germane to Josh Smith’s feelings about bedreaded basketball players? It must be. Josh Smith will not respond to Marquis Daniels’s diamond-encrusted head. 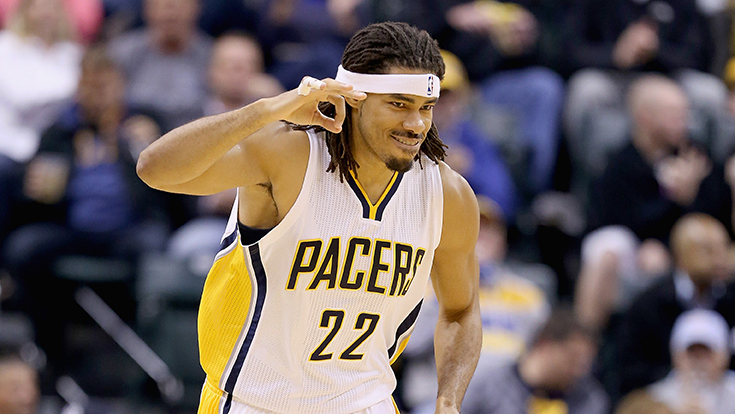 Josh Smith will not respond to Etan Thomas unless it can be in couplet format. These players deserve better than to be blanket not responded to, Josh Smith. When Is It OK to Worry About LeBron and the Cavs?